A new report by the Colorado Health Foundation makes some pretty unhealthy claims about the state’s Medicaid expansion, and we’re here to debunk them. You’re welcome. Claim 1: Colorado Medicaid expansion occurs at no expense to the state. This is laughable. The Medicaid expansion is crowding out funds we should be using for education and infrastructure (read: roads) projects. Even worse, Medicaid expanded to include able-bodied men, so now a program meant for the most vulnerable among us is funding people perfectly capable of providing for themselves. Claim 2: Obamacare Medicaid expansion created 31,074 new jobs. Claim 3: Colorado household income increased $643 per year as a result of the Obamacare Medicaid expansion. The problem with this claim is that it doesn’t take into account the increases in the cost of insurance due to Obamacare, which for many families have been extreme. If premiums haven’t spiked, deductibles have. Don’t fall for the hype surrounding this report by the Colorado Health Foundation. 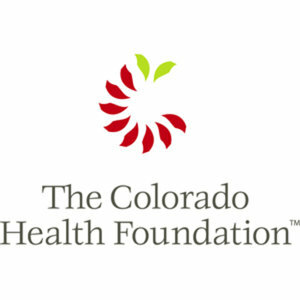 After all, a stated goal of the organization is “protection of policy and budgetary successes from the past few years, including, but not limited to, the Medicaid expansion, the Essential Health Benefits requirement, and the health benefit exchange.” It would be more newsworthy if Colorado Health Foundation didn’t support the Medicaid expansion. Increases in deductibles do not decrease income in most cases.